park in China dedicated to the preservation of silkies. Chickens were recorded in China at least 6000 BC, and the famous Taihe County Silkies, from the Jiangxi province of China records silkies from 2000 years ago. Originally it is believed that they only came in white, and that the other colours came from interbreeding with other species of chickens. 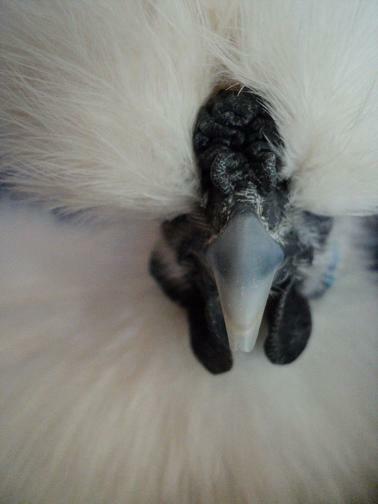 As has already been stated silkies have fur like feathers. This is due to the lack of the little zippers or barbicels which hold the feather in its normal structure. 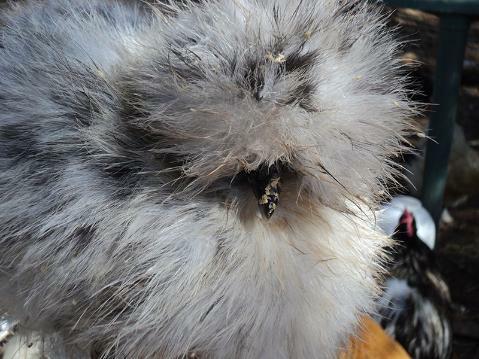 Other features which have silkies standing out from other breeds of fowl include five toes, a crest, black skin and black meat and bones. They have dark brown to black eyes, and its desirable for them to have to have turquoise earlobes.